Wessel Westerveld uses the pseudonym ‘der Wexel’ when he releases his installations into the wild. Wexels sculptures and installations are inspired by his passion for mechanics. The straightforwardness of his machines is a reaction to the boring, abstract and invisible mode of operation of microelectronics. In order to focus on the beauty of the technical elements he stripped away the function. In his work the function does not determine the shape of an object as is the case in applied mechanics. Using this method Wessel created work that consists solely and purely of mechanics without any discernible function. 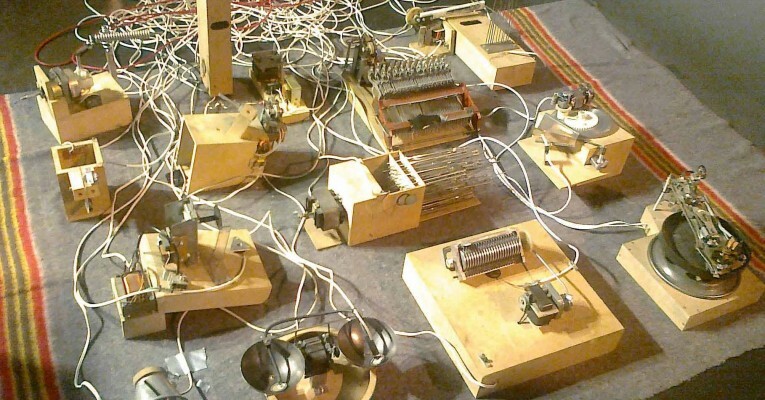 Later he added the dimension of (mechanical) sound to his installations.